Just like any other sport, records are of vital importance in cricket and are a deciding factor in recognising the true worth of a player. However, that does not imply that cricketers with the best records are necessarily the finest in the business. But in most cases, the really good players are the ones who rack up these records. There are quite a few cricketers who hold both good as well as dubious records under their belt. It means that while they have reigned supreme over others in achieving certain feats, they have managed to pick up a few embarrassing ones in their career as well. 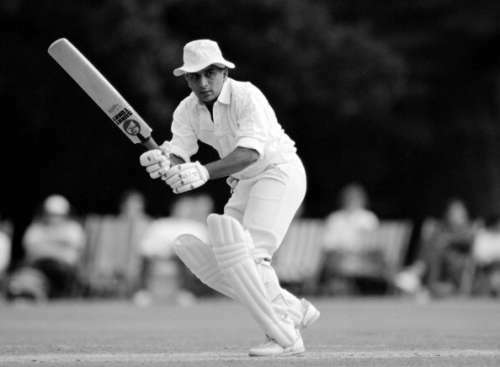 Sunil Gavaskar is one of the most legendary figures in the history of Indian cricket and had a career which was full of records and milestones. At a certain point in his career, the iconic Mumbaikar held the record for the fastest century in a one-day international for India, which was also the second-fastest in world cricket at the time. In a 1987 World Cup match against New Zealand, he smashed a ton off just 88 balls and led India to a comfortable 9-wicket victory. In a complete contrast, though, Gavaskar is also known to play the slowest knock in the history of ODI cricket. In India’s very first World Cup match back in 1975, the great opening batsman played at a snail’s pace and could manage just 36 runs off 174 balls at a poor strike rate of 20.68. Strangely enough, the innings came during a chase of 335 against England and the Indians lost by 202 runs despite having lost just 3 wickets.